So, something kind of cool happened, last week. Folks, I was contacted by Andrews McMeel Syndication (AMS) about a digital syndication deal for A Problem Like Jamal. You hear me? That’s Universal. 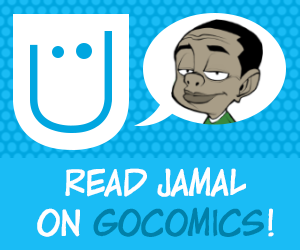 They want to run Jamal on gocomics.com, you guys! What this means is that starting September 17th Jamal, will share a house with such greats as Garfield, Calvin and Hobbes, FoxTrot, and freakin’ Peanuts! And, even though you won’t see Jamal in your local newspapers (YET), this is the absolute fulfillment of a lifelong dream! I have been floating an inch off the ground since I first got the news. 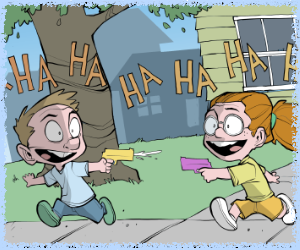 This week, I’ll begin getting things ready for the gocomics.com debut. Getting files ready. scheduling updates. You know. Normal, Professional Cartoonist stuff. 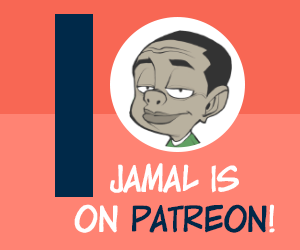 But, don’t worry, you’ll still be able to catch Jamal here, as well as on instagram, Twitter, and of course facebook. But, I hope I can also count on all of you to visit us at gocomics.com and show your support. See you all there in September!